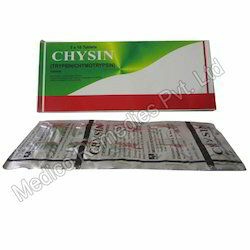 Prominent & Leading Exporter from Thane, we offer chysin (trypsin chymotrypsin) and carbin-5 (carbimazole). 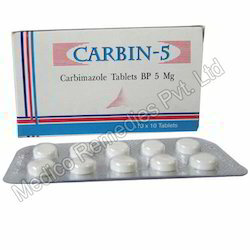 These tablets contain effective enzyme substances which work best to treat the traumatic injury. The outcome of methimazole-induced cholestasis was generally benign, with self-resolution of symptoms and normalization of bilirubin levels and other liver function values 5 days to 6 months after stopping methimazole or carbimazole therapy.